When I can’t get to the beach, I love to cook. I like to eat everything raw and the rest of my family prefers cooked. This recipe works well for all of us. It combines cooked and raw vegetables. There are many ways to vary it. Use your imagination. 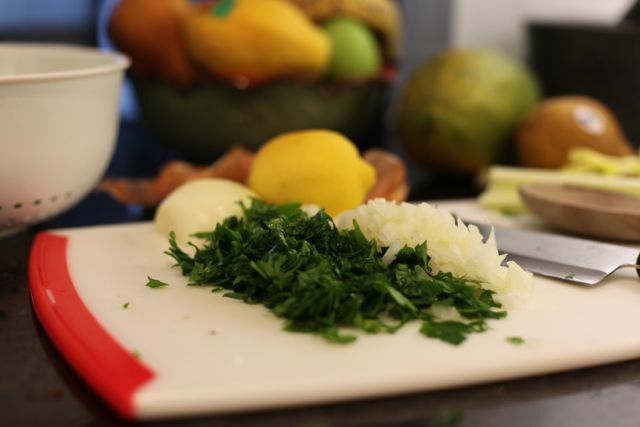 I’m using some of the ingredients I love and always have in my kitchen. 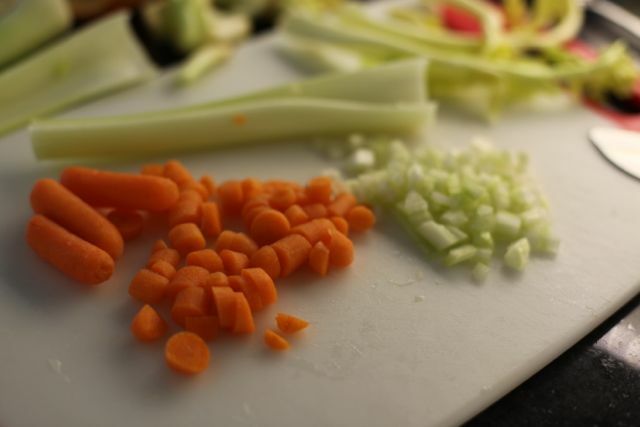 Chop the celery and carrots. 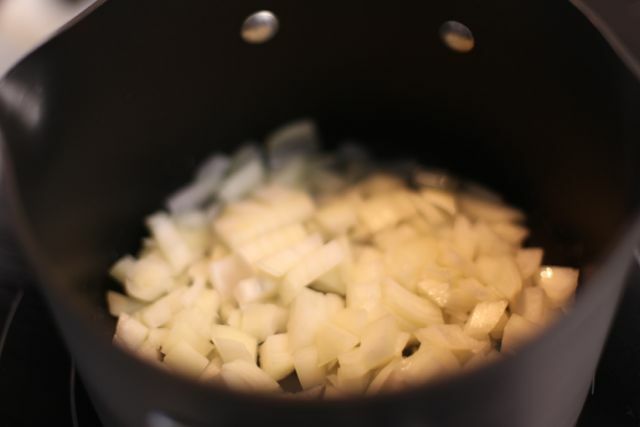 Add half the celery and all the carrots to the onions in the saucepan. 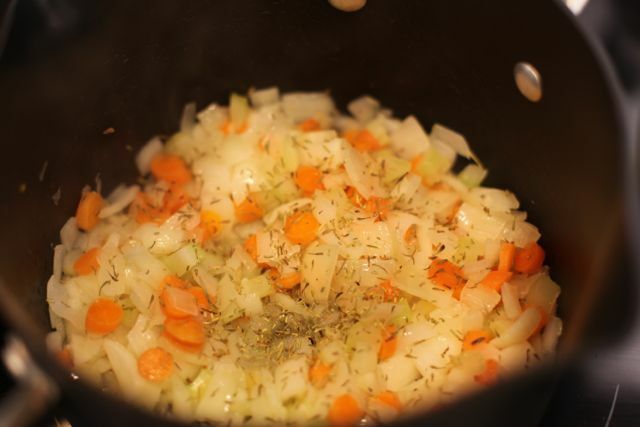 Add a tsp each of dried thyme and dried rosemary. Add a cup of water or enough to just barely cover the chickpeas. 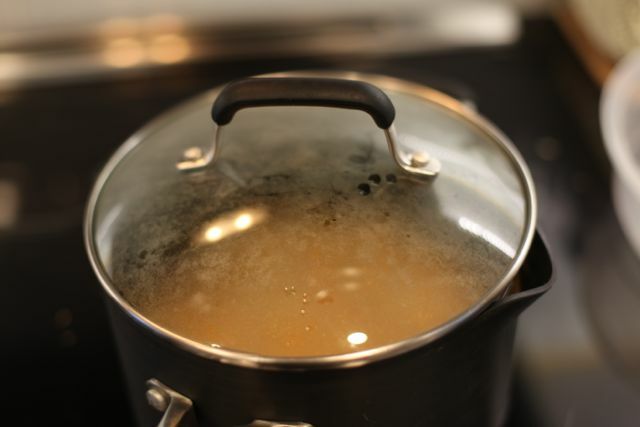 Cover with a lid and simmer on low heat for an hour. At this time, get the frozen tilapia out and leave on the counter to thaw. 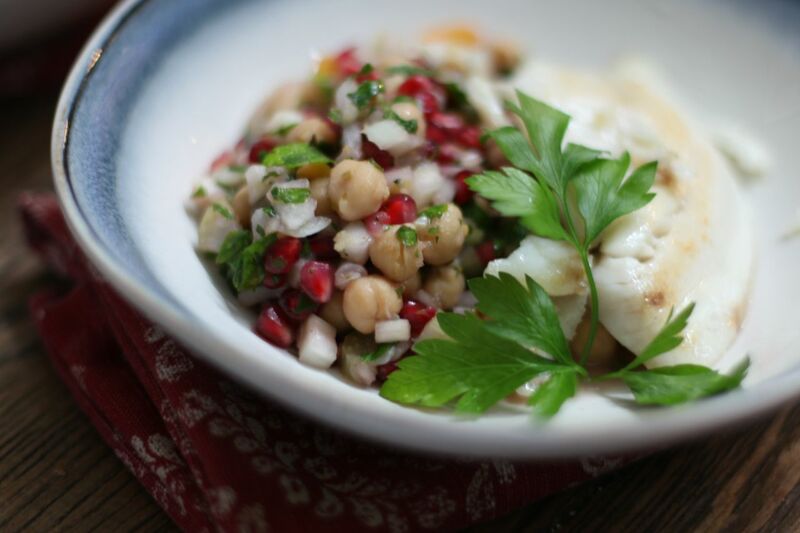 While the chickpeas are cooking, wash the raw vegetables and herbs. 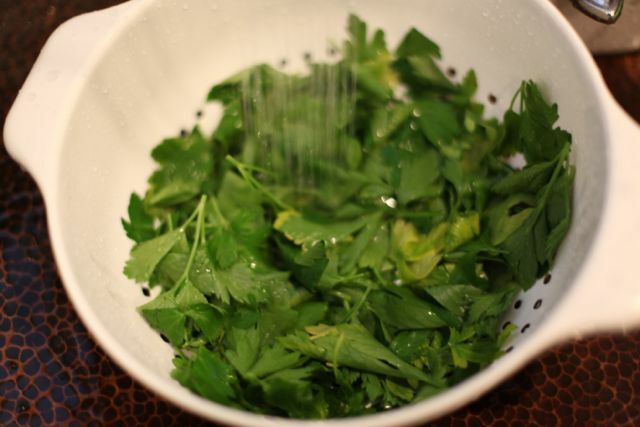 Chop the parsley and mix with the remaining chopped onion. 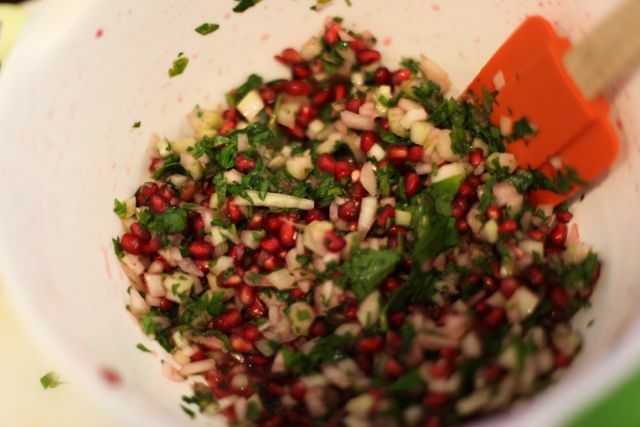 Add the pomegranate seeds, onion, parsley, remaining celery, and the juice of one lemon. I sometimes add apple vinegar also. Add salt to taste. I use an iodized sea salt. 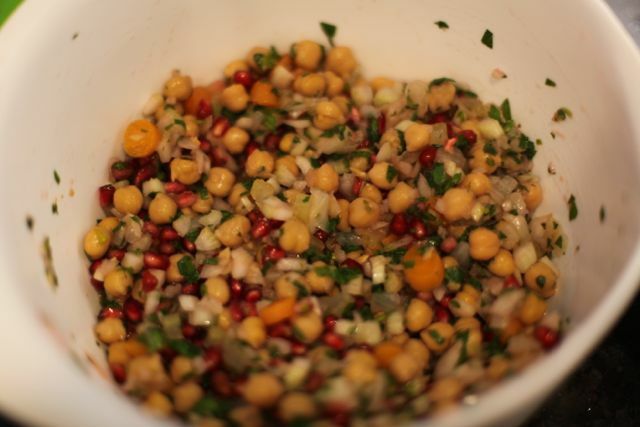 Use a slotted spoon to lift the chickpeas into the raw mix. I sometimes bake the tilapia (still frozen) at 360 F for 25 mins or I fry thawed for about five minutes on medium to high heat or until soft and flaky. 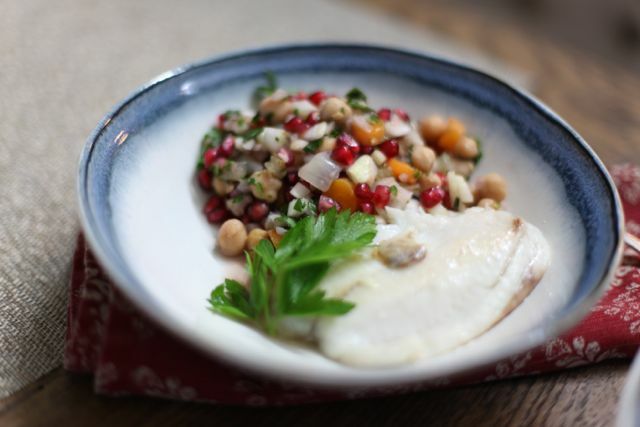 Serve while fish is hot and the vegetable mix is cool.